One of the main concerns for buyers when shopping online is the security of their personal information. We aim to give our customers security and piece of mind while shopping online by using PayPal. PayPal is a faster, easier, more secure way to make payments online. 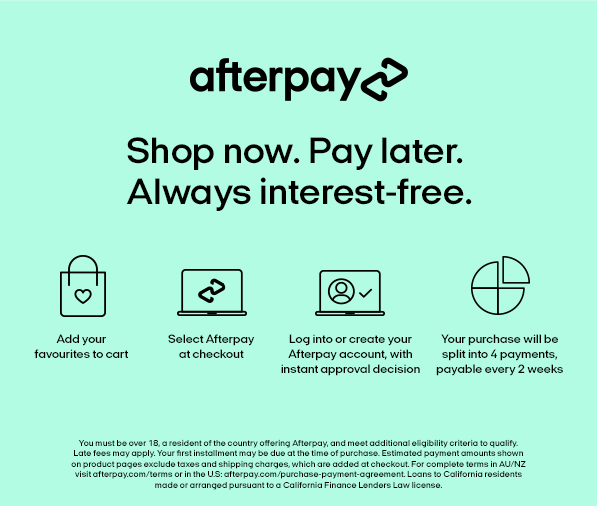 Australians who shop online prefer to use PayPal over Visa or MasterCard* - and more than 34,000 Australian businesses already accept PayPal on their website. * When compared to other online payment systems and individual credit card brands. Neilsen report H2 2010. We don't charge you anything to shop online with your bank account, credit or debit card. PayPal is free to join.